A lovely addition to the Christmas Day table with a traditional scene, and a border of red ribbon and holly. The kit has large scale black and white charts printed 10 stitches to 2 centimetres on two A3 sheets. 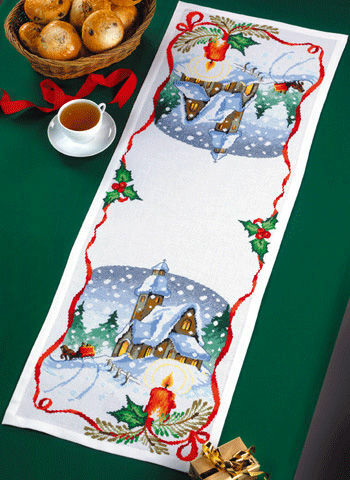 The pattern is worked in cross stitch and backstitch using 25 shades of stranded cottons over 155 by 460 stitches.